Our highly skilled seamstress has years of experience working with the elegant fabrics and intricate designs that are commonly found in many wedding gowns. 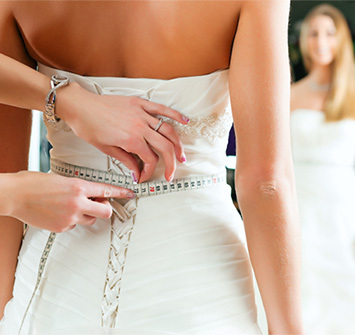 You can in our seamstress to tailor fit your wedding gown perfectly in minimal turnaround time. Our highly experienced seamstress is able to perform all types of alterations proficiently within a very short turnaround time. 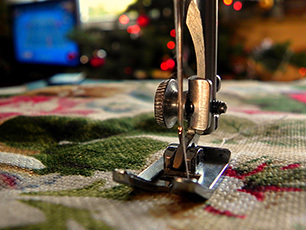 With more than 30 years of experience, our seamstress can do a multitude of tasks including but not limited to: fixing unraveled stitching, hems, tapering, prom dress alternations, and zippers. No problem! There are very few limitations when it comes to our seamstress. She has done everything from repairing children’s stuffed animals to tailor fitting a variety of Halloween costumes.